What happened, zerozero? Did the kernel upgrade break X for you? I did it yesterday and came through unscathed. Running nouveau here, no proprietary video drivers. This and things like it are whats stopping me from bringing my main laptop over from Mint 13. The box I do run debian testing on has an intel video card and has a liquorix kernel. Do liquorix kernel updates cause the same problem with nvidia? 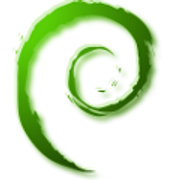 Contrib and non-free aren't official parts of the Debian Distribution and are not released, and thus not supported by the security team. Ok. If/when I move to debian on my laptop, I'll use smxi or not even bother with proprietary graphics as I don't do anything that my Intel HD 3000 can't handle, and there are ways to use bumblebee with the open source drivers. I have been using LMDE for a long time now and needed advice. Was just wondering if these are correct for what I want. I want to be tracking Debian Testing, but a few packages seem to be old in LMDE, e.g Iceweasel is version 10 while it is version 17 in C# (Crunchbang) that I also have installed. How can I get Iceweasel 17 in LMDE. Firefox from the Linux Mint repo is at version 17 (and so is thunderbird). Iceweasel in Testing and Unstable are the Extended Support Releases (ESR), and they are up to date AFAIK (I think both are 10.0.11 right now). If you want to go back to the standard releases, you have a few options. First, you can install from the Mint Repo, which would get you firefox 17. You could also use apt-pinning and pull iceweasel down from experimental. Finally, you could try to use other distros repos to get thunderbird, but I wouldn't recommend this. Currently, your preferences will work, but it could cause problems in the future if packages from the mint repo stop working with testing. It would be better to assign them all equal priority or to delete the contents. Hunspell is incompatible with Thunderbird (but not icedove), so if you were to install from the mint repo, you'd have to remove hunspell which is important for spell checking. If you do plan on installing iceweasel from experimental, make sure you remove the third entry (the debian one) because that will assign all debian releases a pin of 500, meaning you would upgrade everything to experimental, which would be bad unless you wanted to. Edit: the link that zerozero gave recommends using experimental for the latest release of iceweasel, and it gives instructions. I agree, and when looking at other distros I've been impressed how well the UP system works. However, in general debian, I think that apt-pinning is one of its biggest strengths for me. I really like running debian testing while running iceweasel/icedove from experimental (even though that's probably not recommended). @zerozero and @cww: Thank You both for your replies. I certainly have no plan or intention of going to debian experimental any time. I do not think I am that cutting edge and am not ready for the issues that I may have to encounter. I think I can live with Iceweasel 10 ESR. I was thinking something was wrong with my Preferences file that the big difference was there. It just seemed highly improbable that a system tracking Testing would have that big a difference in version numbers from the upstream (version 10 to 17 is a big jump, though there may not be too many differences that I as a user can see). Thank you again for confirming that there is nothing wrong. The C# system does not have Mozilla in the sources list, but the preferences file has Crunchbang Waldorf with 1001 and debian testing as 500 . Hi, new to tracking Testing -apologise if this is not the place to ask questions. -it's the nouveau that I'm curious about. I use nvidia proprietary and wonder if accepting the update will override my chosen proprietary drivers. If so, how should I proceed? Tracking Testing has been fun and educational so far. Apologies again if this should be asked elsewhere. fiver22 wrote: Hi, new to tracking Testing -apologise if this is not the place to ask questions. I've updated and rebooted and I'm doing well right now. I run bumblebee with optimus, though, and I didn't run anything using optirun, so I don't know if optirun is still working (I think so, though). welcome to the party yeahh it's the place to ask questions. 2 packages upgraded, 0 newly installed, 0 to remove and 0 not upgraded. Need to get 134 kB of archives. After unpacking 118 MB will be freed. ia32-libs : Depends: ia32-libs-i386 which is a virtual package. ia32-libs-gtk : Depends: ia32-libs-i386 which is a virtual package. Depends: ia32-libs-gtk-i386 which is a virtual package. As with any major transition, don't let aptitude try to handle this. It's like an eager puppy that keeps bringing you the same dead bird. I didn't need to modify my sources. 0 packages upgraded, 0 newly installed, 2 to remove and 0 not upgraded. Need to get 0 B of archives. After unpacking 133 kB will be freed. skype : Depends: ia32-libs but it is not going to be installed. Depends: ia32-libs-gtk but it is not going to be installed. Uh oh: what's it mean if I don't see this update? I also tried cat /var/lib/dpkg/arch and no such file or dir (arch). It really is fun to have more changes to deal with -so far no major issues but I am learning lots. fiver22 wrote: Uh oh: what's it mean if I don't see this update? If you're on 32-bit, don't sweat it. It's only relevant for 64-bit systems. mockturtl wrote: (...)]If you're on 32-bit, don't sweat it. It's only relevant for 64-bit systems. I'm on a 64 bit system. Ack, what then? Are my sources wrong, perhaps? or should I change my apt-pinning? personally i can't say i'm convinced but we have no option now. So then: should I change the pinning to all the same? 500, 500, 500 for example? Is that what most people who are tracking testing do?